Andrew Revkin, senior climate reporter at ProPublica after a prize-winning 21-year stint at The New York Times, presents an intriguing illustrated history of humanity's evolving relationship with Earth's dynamic climate system and the wondrous weather it generates. Colourful and captivating, Weather: An Illustrated History traces the history of weather and meteorology from prehistory to today's headlines in accessible, bite-sized stories. The descriptions touch on such varied topics as Earth's first atmosphere, the physics of rainbows, Groundhog Day, the Year Without Summer, our increasingly strong hurricanes, and climate diplomacy from Rio to Paris. 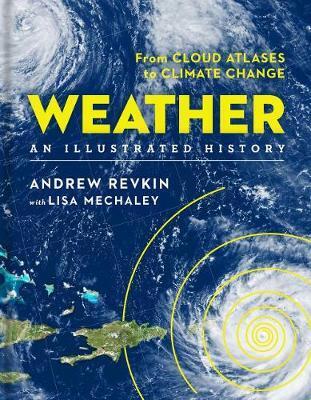 Written by award-winning environmental writer Andrew Revkin, this is a groundbreaking illustrated book that chronologically traces the evolution of weather forecasting and climate science.